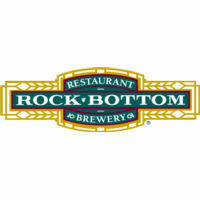 In search for the Stone Brewery, after gallivanting through the amazing Petco Park (home of the San Diego Padres), we stumbled upon the Rock Bottom Brewery. We were quite pleased with the location and atmosphere; but as you will see in the 8 reviews, the beer could not stand up to a bud light. The appearance was quite impressive. Great lacing and amazing light brown creamy head that was fully diminishing. With a black body, the nose detected a moderately malty aroma with hints of burnt malts. The initially sweet flavor was followed by a little bitter taste for a short duration on the palate. The Sunset Stout was medium and creamy in body with soft carbonation. For a stout, it was rather weak in taste, but the aroma was pleasant. Reviewed on November 12th, 2006 during a trip to Southern California.